Before they practiced Spinjitsu, they were all about Ninjitsu. 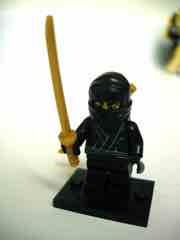 This LEGO Minifigures Series 1 Ninja figure takes the design of the ninja figure of the late 1990s Ninja castle line and updates it with enhanced deco, retaining everything that made the original great like the clip for the sword. 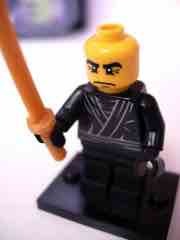 Oh, and the sword, that was a nice introduction too. 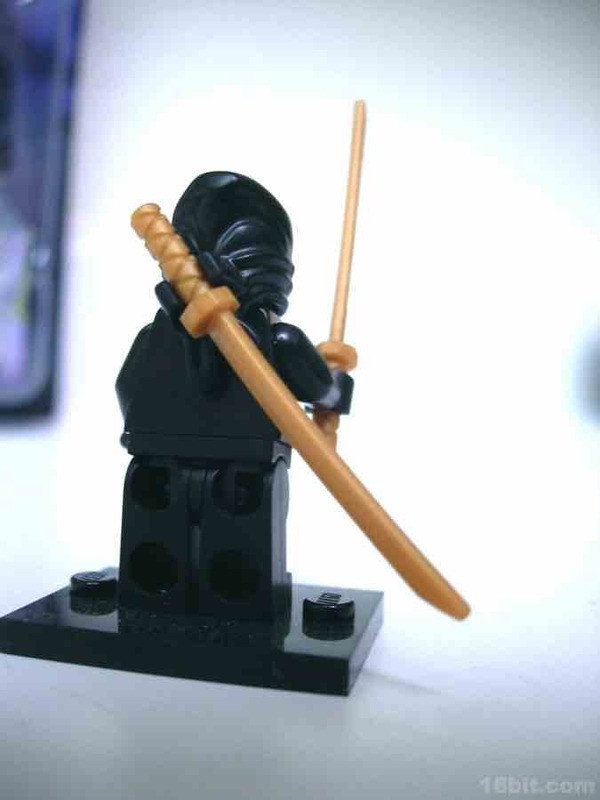 If you have the original 1990s figures, or plan on buying the recently released Ninjago LEGO figure sets, odds are you have no reason to track this one down. Actually, I take that back-- if you have any black LEGO ninja, you don't need this one. The basic structure is the same of all figures, and while it's good having this exact one is there only to scratch your OCD collecting itches, or to do some massive customizing or army-building. The figure has standard LEGO articulation, plus a LEGO sword clip on his back courtesy of the mask's design. Good stuff. Why buy this figure? The face under the mask. That's really what makes this one stand out, his expression is probably one of the better ones I've seen for a ninja, and unless LEGO gets the license for Teenage Mutant Ninja Turtles (crossing fingers) odds are that this figure-- and the other figures descended from the same parts-- are going to be just fine in your collection. 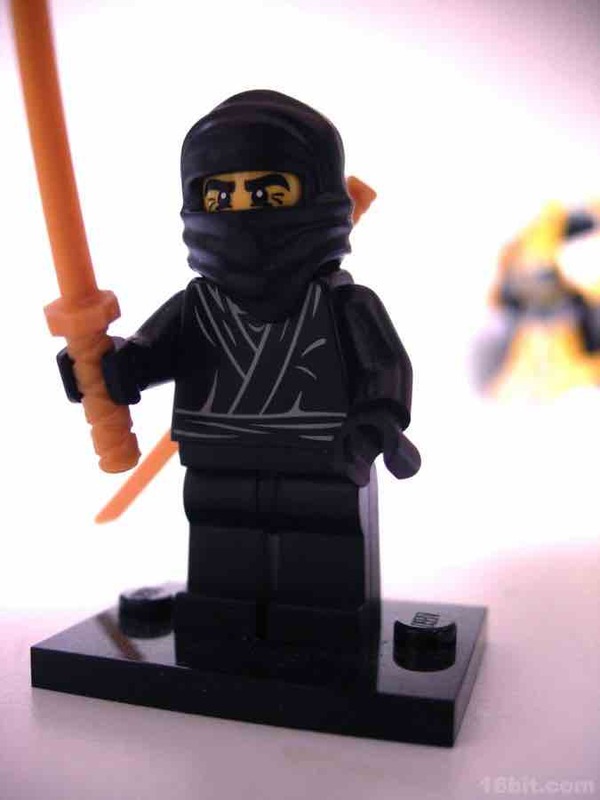 Again, with the new Ninjago line, there's really no reason to shell out for this particular blind-packaged figure since you can waltz into the store and pick up your choice of color when it comes to the ninja figures.